WASHINGTON – U.S. 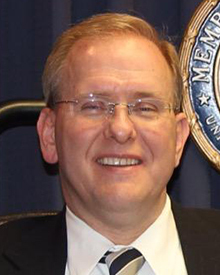 Representatives Jim Langevin (D-RI) and Cathy McMorris Rodgers (R-WA) today introduced the Lifespan Respite Care Reauthorization Act of 2019, a bipartisan bill that would authorize $200 million in funding over the next five years to continue building coordinated respite services for families caring for loved ones with chronic, disabling conditions. 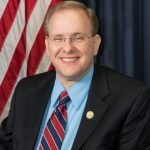 Langevin originally authored and introduced the Lifespan Respite Care Act in 2002, and he served as the lead Democratic sponsor when it was signed into law in 2006. Senator Susan Collins (R-ME), chair of the Senate Select Committee on Aging and a member of the Committee on Health, today also introduced companion legislation in the Senate with Senator Tammy Baldwin (D-WI). Over 43 million family caregivers nationwide provide long-term care to their aging or disabled family members. Respite care provides short-term relief to these family caregivers, preventing exhaustion and allowing loved ones to continue to live in the comfort of their own homes. The Lifespan Respite Care Program is the only federal effort that supports respite care regardless of the age or type of disability of the family member in need. It has already provided grants to 37 states and the District of Columbia to help coordinate federal, state and local resources and streamline the delivery of planned and emergency respite services, provide services for unserved groups, recruit and train respite workers, and train caregivers themselves. The Lifespan Respite Care Reauthorization Act of 2019 authorizes program funding for the next 5 years:$20,000,000 for fiscal year 2020; $30,000,000 for fiscal year 2021; $40,000,000 for fiscal year 2022; $50,000,000 for fiscal year 2023; and $60,000,000 for fiscal year 2024. The Lifespan Respite Care Reauthorization Act of 2019 is supported by the following organizations: AARP, Alzheimer’s Association, Alzheimer’s Foundation of America, Alzheimer’s Impact Movement, American Association of Caregiving Youth, American Association on Intellectual and Developmental Disabilities, American Dance Therapy Association, American Music Therapy Association, The Arc, Association of University Centers on Disabilities, Autism Society of America, Brain Injury Association of America, Caregiver Action Network, Caring Across Generations, Christopher & Dana Reeve Foundation, Easterseals, Elizabeth Dole Foundation, Epilepsy Foundation, Family Caregiver Alliance, National Center on Caregiving, Family Voices, Generations United, The Jewish Federations of North America, Justice in Aging, LeadingAge, Lupus Foundation of America, The Michael J. Fox Foundation for Parkinson’s Research, National Alliance for Caregiving, National Alliance of Children’s Trusts and Prevention Funds, National Association for Home Care and Hospice, National Association of Area Agencies on Aging, National Association of Councils on Developmental Disabilities, National Association of Social Workers, National Association of State Directors of Developmental Disabilities Services, National Association of State Head Injury Administrators, National Association of States United for Aging and Disabilities, National Down Syndrome Congress, National Down Syndrome Society, National Hospice and Palliative Care Organization, National Military Family Association, National Multiple Sclerosis Society, National Respite Coalition, Paralyzed Veterans of America, Program to Improve Eldercare – Altarum, Rosalynn Carter Institute for Caregiving, Sibling Leadership Network, TASH, United Spinal Association, and Well Spouse Association.